I have never seen another repair quite like this. 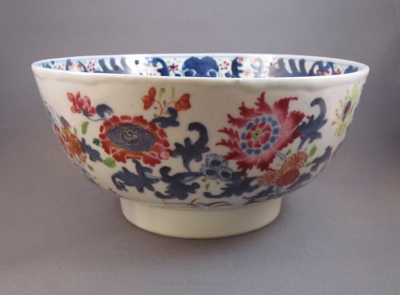 The porcelain bowl itself is fine but unremarkable: made in China in the mid-1700’s for export to North America and Europe, decorated in Famille Rose enamels with large stylized flowers and cobalt blue underglaze leaves. 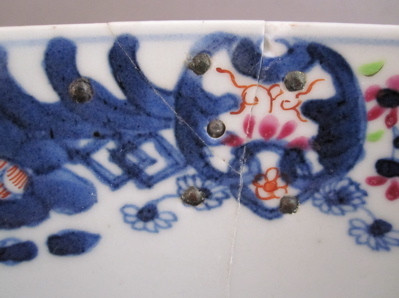 But what makes this piece truly remarkable are the figural repairs. 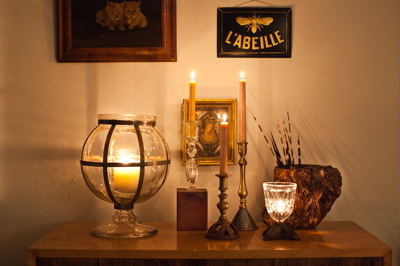 Rather than using standard metal staples or straps to join the broken pieces of the bowl, an inspired metalsmith cut three different shapes to form a unique bond. An unmistakeable heart-shaped brace sits below a strap shaped like a scepter. Each of these has short metal pins attached, which pass through small holes drilled into the side of the bowl. 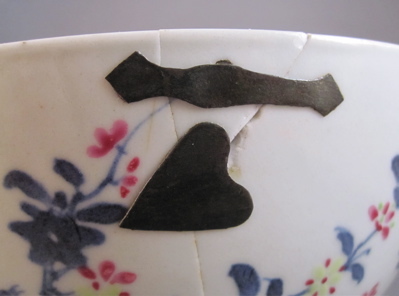 This short metal strap, straddling a crack, resembles a bow tie. 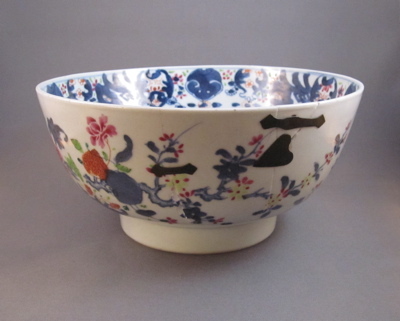 Bowl measures 4″ high and has a diameter of 8-1/4″. 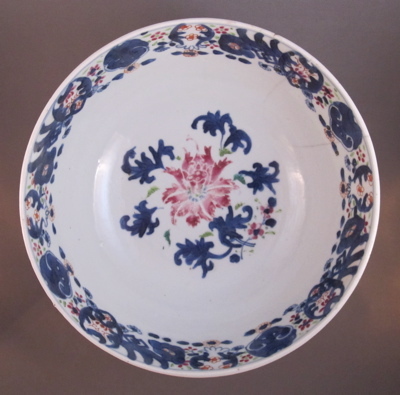 A single red blossom surrounded by spidery blue leaves is found at the center of the bowl and a decorative border is painted along the inner rim. 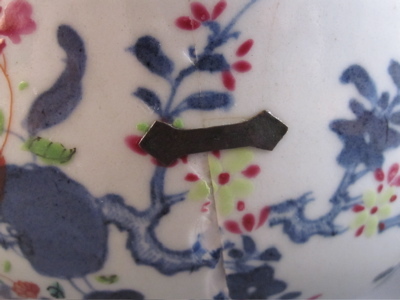 The inside of the bowl reveals the carefully hammered ends of the metal brace pins, which are mostly masked by the deep cobalt painted decoration.